On August 1, one day after the abrupt exit of White House communications director Anthony Scaramucci, President Trump dined with a communications whiz: Rupert Murdoch. 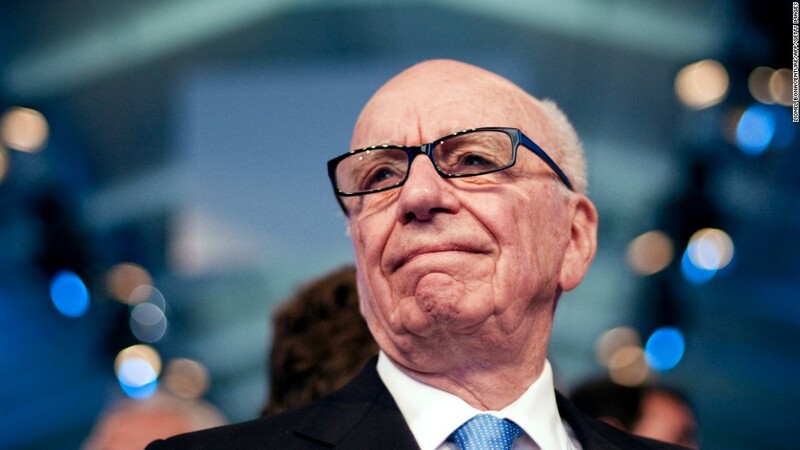 Murdoch is the patriarch of 21st Century Fox (FOX), one of the world's most powerful media companies, and News Corp, the owner of newspapers like the Wall Street Journal. He doubles as the CEO of Fox News. So any interaction between the two men is intriguing, especially because the Journal's editorial board has become increasingly critical of the president. A White House spokeswoman did not respond to requests for comment about the dinner. A Murdoch spokeswoman declined to comment. In April, the New York Times identified Murdoch as one of Trump's informal advisers and said the two men speak by phone every week. Around the same time, Gabriel Sherman of New York magazine reported that Trump was overheard on a hot mic telling Fox Business host Maria Bartiromo that "Rupert's been a lot better to me than Roger ever was." CNNMoney has previously reported that the president has told associates that Murdoch treats him better than ex-Fox News chairman Roger Ailes did. The president "talks about how the coverage under Murdoch is better than under Ailes," a White House source said in April. Ailes resigned amid a cloud of sexual harassment allegations in summer 2016, and Murdoch took over as the CEO of Fox News.